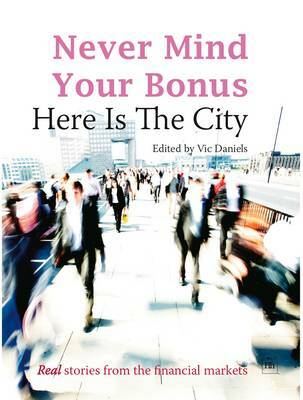 Edited by "Here Is The City" publisher Vic Daniels, "Never Mind Your Bonus" is a compilation of the best, most amusing, entertaining or just plain eye-opening stories from the vaults of one of the world's most popular financial markets websites. With an exclusive audience of financial markets professionals, based in over 150 countries and territories, the website delivers a brand of up-to-the-minute comment, news and opinion that has tens of thousands of investment bankers, asset management and hedge fund professionals logging in each day. The book provides an entertaining look at the underbelly of the financial markets, revealing what's really going on in that opaque world. This is a must read for anyone who works in the financial markets, or hopes to make a career therein.